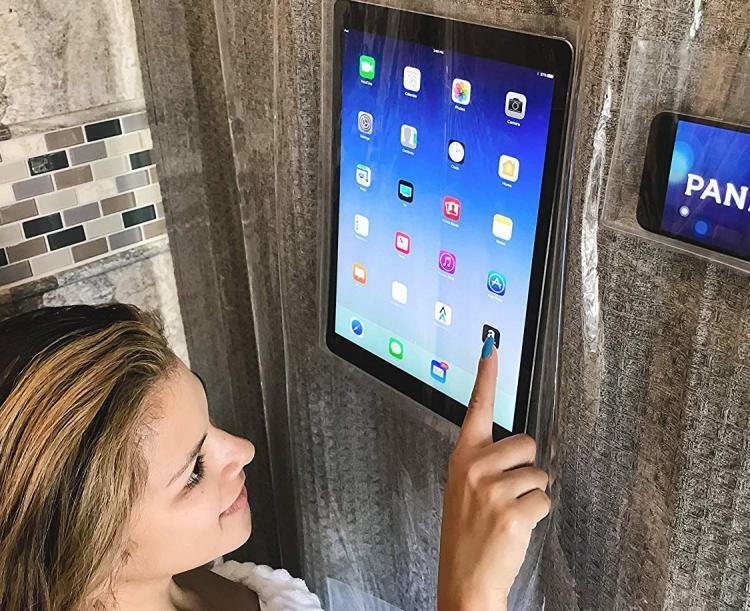 In today's episode of "I Can't Believe That Exists", we have a shower curtain that will hold your tablet or smart phone so you can watch videos, text message, email, and more while you shower. 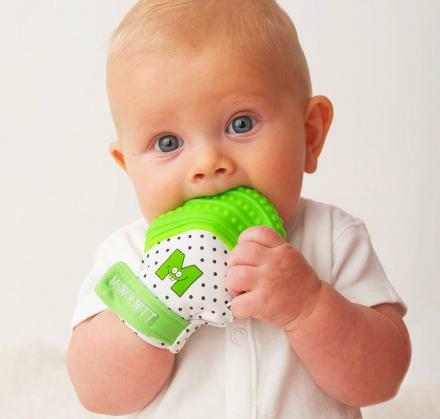 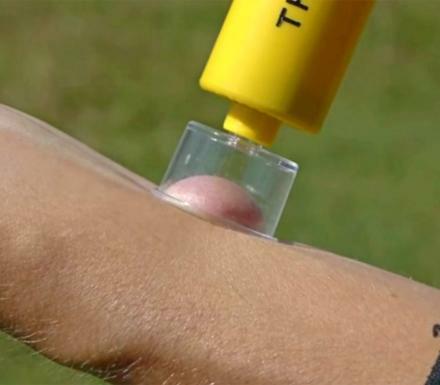 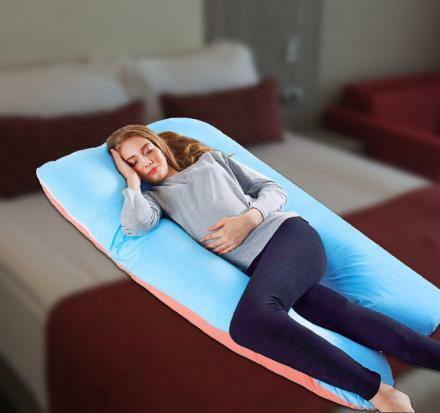 Why conserve water and get in and out quickly from the shower, when you can dilly-dally, watch YouTube videos, browse Odditymall, send work emails, and more. 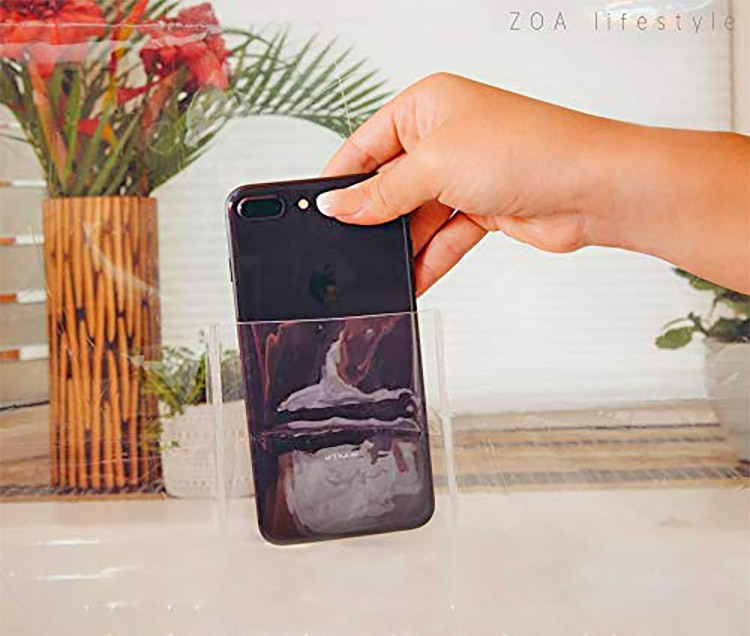 The shower curtain tablet holder is filled with different sized pockets on the outside of the back side of the curtain, so that you can place your device at any position of your choosing. 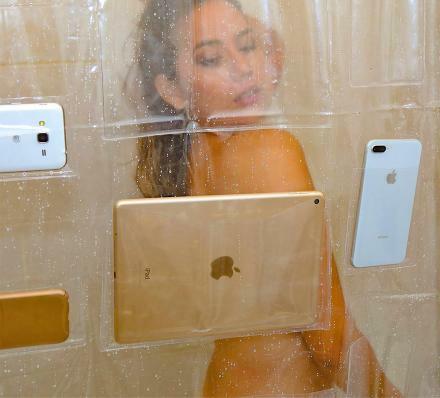 So if you usually stand towards the back left of your shower, or front right, you'll always be able to have your screen in front of you. 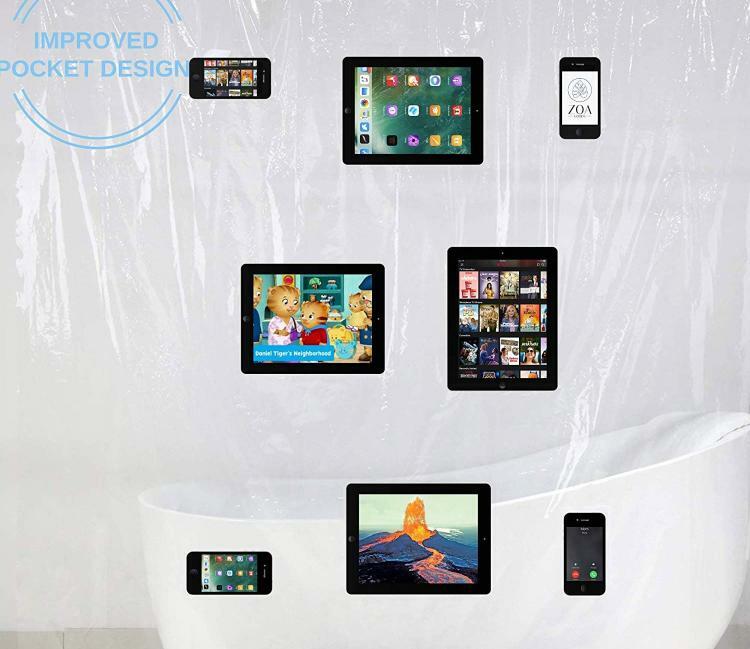 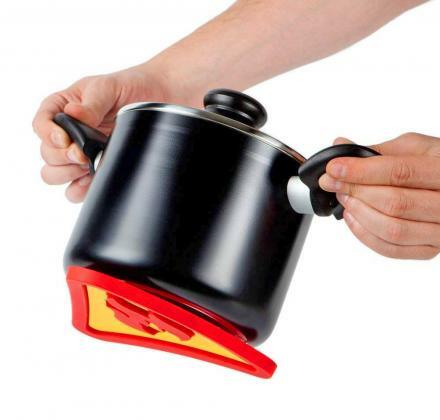 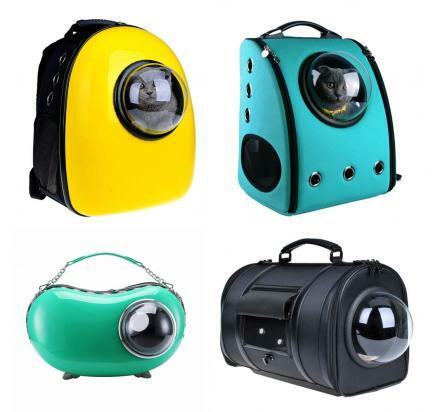 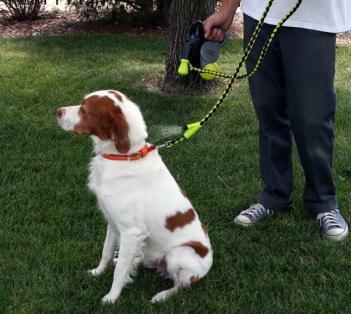 This way you'll also always be able to have your device at eye-level. 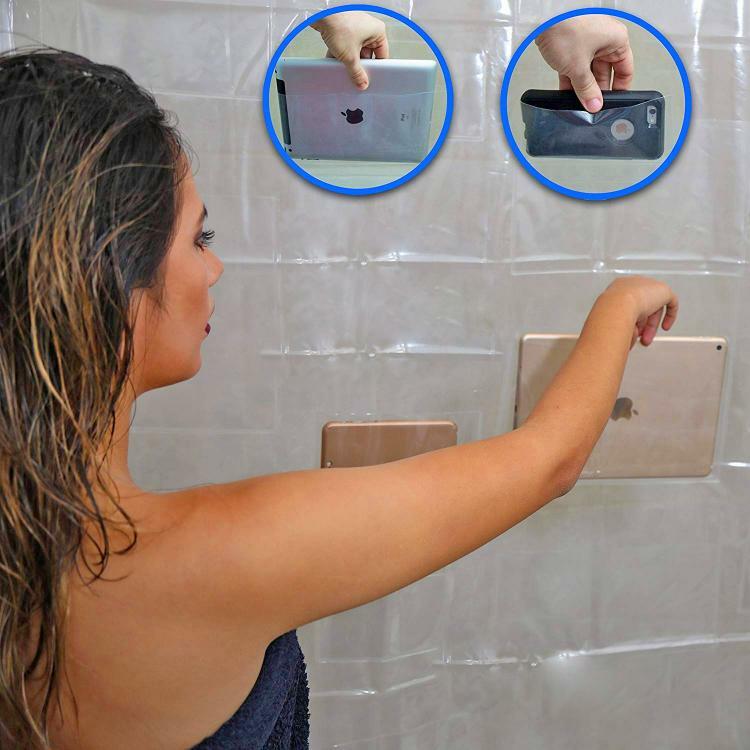 How does the tablet holding shower curtain work? 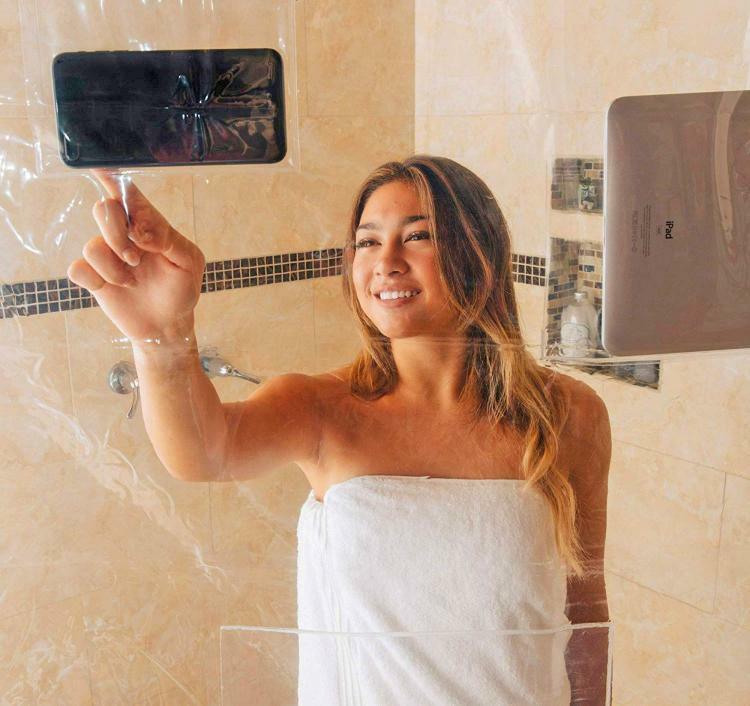 The shower curtain that holds your smart phones or tablets is fully transparent, and has pockets on the outside that you can slip your devices into and point them towards you while you shower. 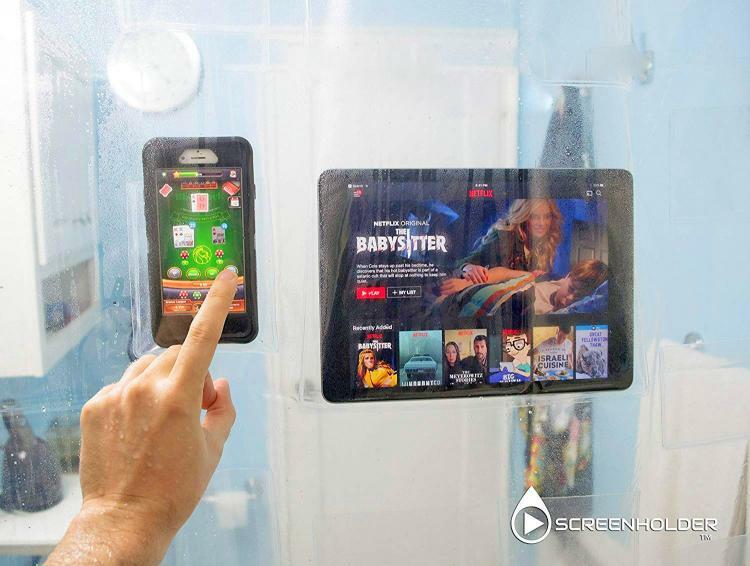 You can then use your phone or tablet through the shower curtain to watch videos, browse the internet, send emails or text messages, or play games. 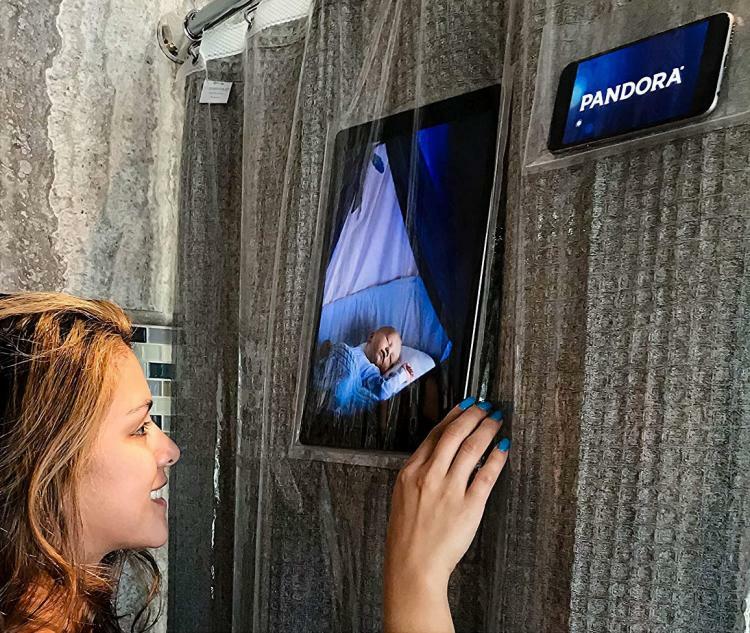 Not only great for use while showering, the shower curtain tablet mount can also be used for parents with kids who don't like to take baths. 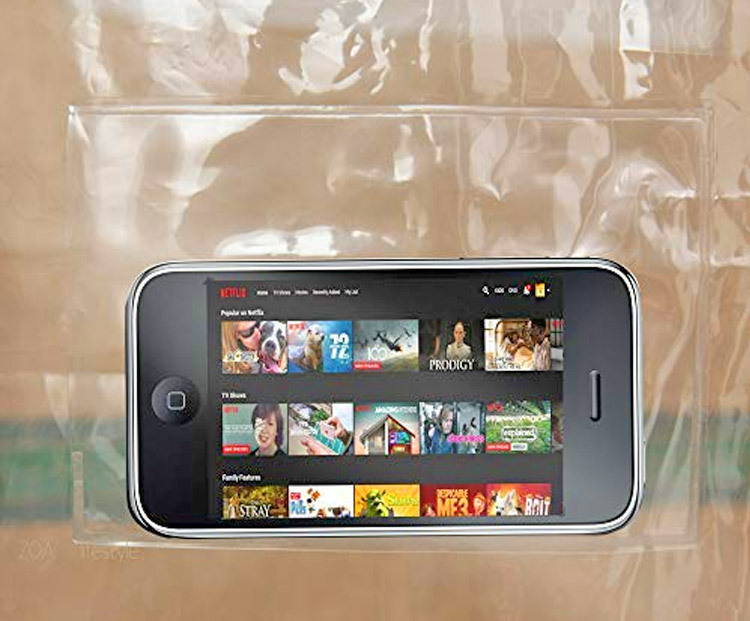 They can use the tablet holding shower curtain to play their favorite videos while they bathe and keep them distracted. 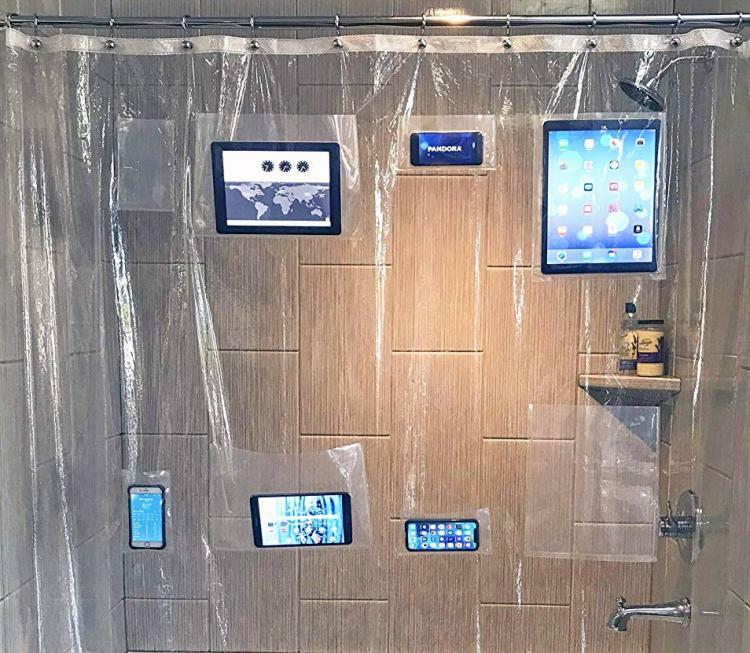 Since your devices go in on the backside of the shower curtain, your smart phones and tablets will stay dry and safe from the water on the other side of the curtain. 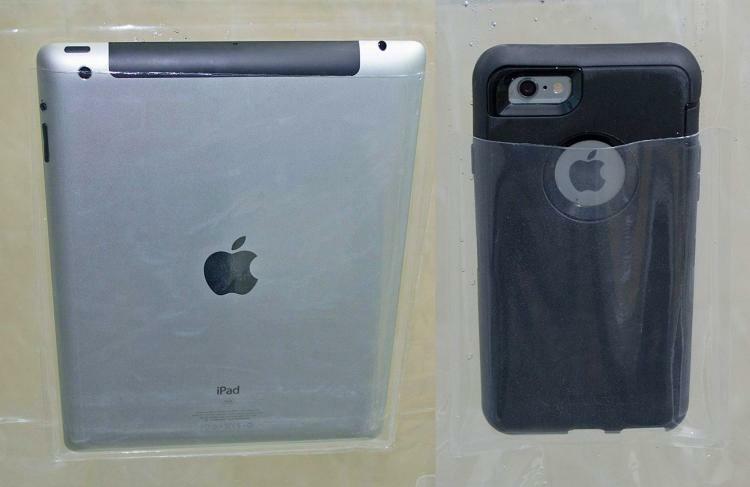 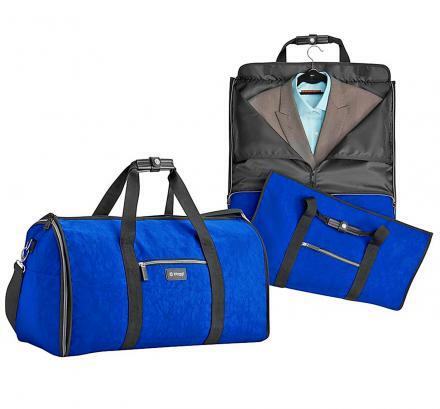 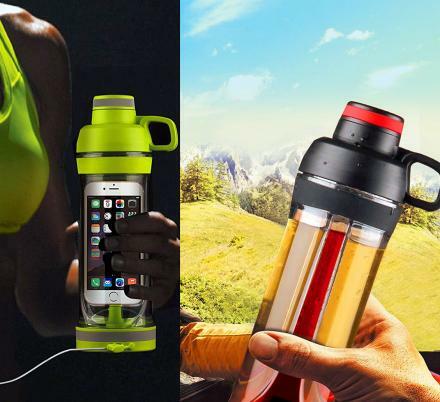 It's made from the thickest 8-gauge EVA material that is sure to keep your devices safe while in any of the pockets. 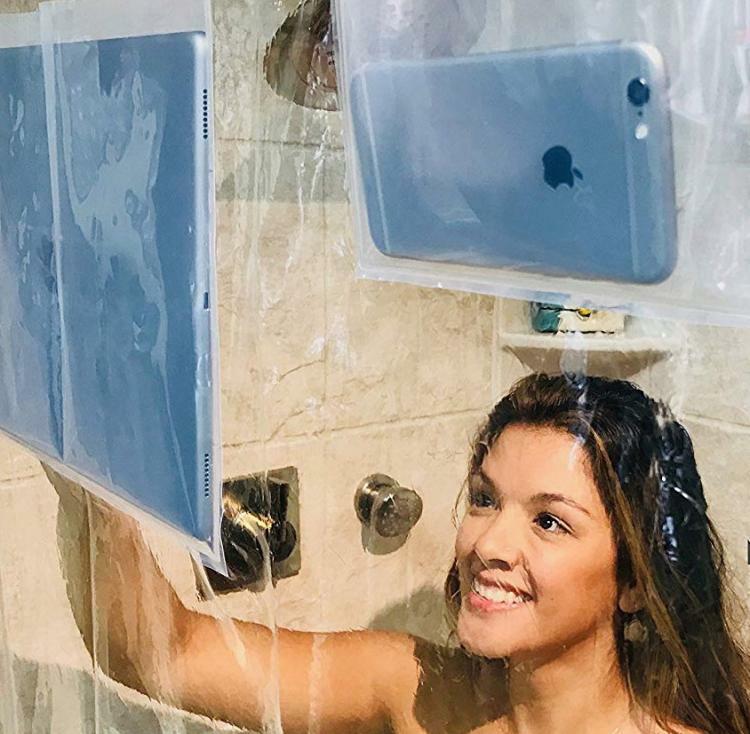 The tablet holding shower curtain is said to fit any sized smart phone and tablet, including the extra-large iPad Pro, it measures 70 inches wide x 70 inches tall, can be cleaned with a cloth or soft sponge, and connects to your shower pole using any standard shower pole hooks (it doesn't come with any). 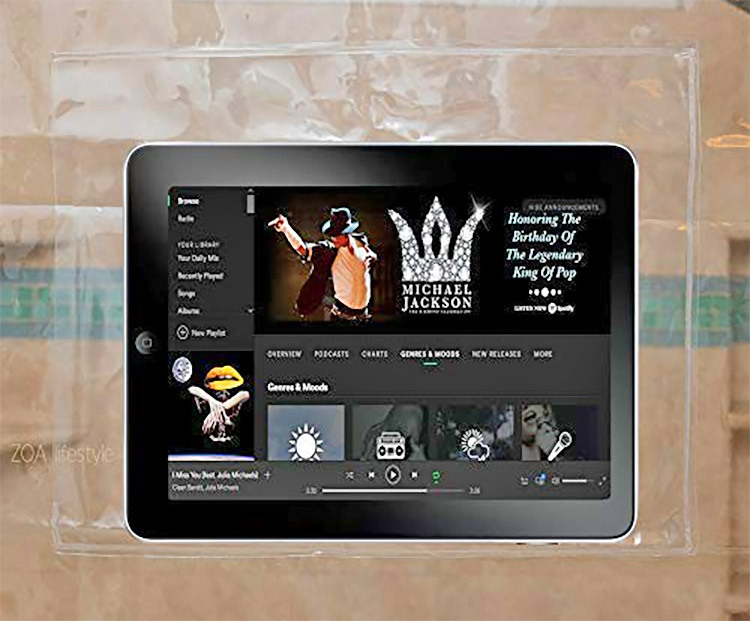 Check out the tablet holding shower curtain in action via the video below.